At first, it sounds like vacations in Napa Valley might be restricted to adults since the area is known for having over 400 wineries. While it’s true that the Napa Valley offers “adult” activities such as wine tastings and going to spas and massage therapies, the area can also be a family-friendly place. The Napa Valley is a perfect place for kids to discover and play in the outdoors, with its beautiful, peerless scenery. Plus there are many fun things that kids will enjoy (while you will enjoy a glass of Pinot). If you take along toddlers to seven-year-old kids, consider a trip to Train Town, a tourist railroad and amusement park located in Sonoma. There, families enjoy a one-and-a-half mile train ride with a stop where they can feed those cute goats! It is open daily from June up to Labor Day. For more fun activities, kids and kids at heart alike will have a thrill at the Six Flags Discovery Kingdom in Vallejo. Rides include roller coasters, thrill rides (Dare Devil Chaos Coaster, VooDoo-VooDoo, Tasmanian Devil, etc. ), family rides (Boardwalk Bumper Buddies, The Ark, Thrilla Gorilla, etc. ), water rides (White Water Safari, Monsoon Falls, and Tsunami Soaker) and a lot of Looney Tunes-themed kiddie rides such as the Acme Fun Factory, Pepe Le Pew’s Rafts of Romance, etc. There is so much to do your children may not want to leave! Lake Hennessey and Lake Berryessa are two of Napa County’s major lakes. They’re both open to the public and offer several amenities such as camping and RV parks, swimming, fishing, boating, fishing, and resorts. 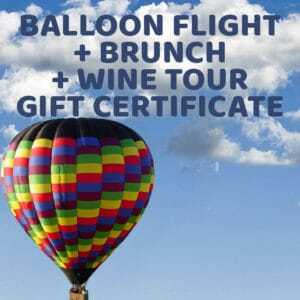 If you and your kids want some adventure that is truly out-of-this world, hot air balloon rides over the gorgeous Napa Valley landscape will definitely apply! If you relish the thought of, or you have plans to go on, a hot air balloon ride but worry about safety, you can’t go wrong choosing to fly with Balloons Above the Valley (BATV). Since BATV is the pioneer of hot air balloon tours for tourists and has been in operation for 40 years, those facts alone are a guarantee of quality and safe hot air balloon rides for you and your children. Your kids will be naturally curious and imagine what it feels like to ride a hot air balloon. Chances are they will be enthralled by the idea of flying way up in the sky and looking down at their surroundings. For a time, they will fantasize of being a captain of a flying ship while enjoying the views of the lovely wine country and the neat rows of vineyards, amazing rolling hills, and beautiful blue morning skies. For children to be included in the hot air balloon flying party, they must be at least 48 inches tall so that they will be able to look over the basket and at least 6 years of age. Kids will also be able to enjoy age-appropriate meals in their pre-flight breakfasts and post-flight brunches, where the adults are also celebrating with a sparkling wine! Don’t believe vacations in Napa Valley are only for adult singles or couples. With a variety of options from which to choose – from train rides to boating to riding hot air balloon rides – Napa Valley offers a lot of fun things for the kids and the family, too!